Sarasota FL. 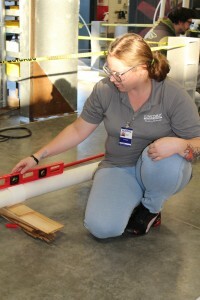 : The plumbing trade recently welcomed 12 new graduates of Suncoast Technical College’s Plumbing Technician program at a ceremony at the college on May 24th. The students participated in a special tuition-free, nine month certification class sponsored by CareerEdge Funders Collaborative. The program is part of CareerEdge’s effort to recruit for and support young adults in earning industry-recognized credentials in high demand, high wage occupations. 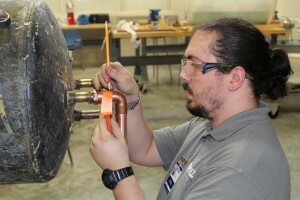 The students are very aware that the career as a plumber is boundless. Entry pay for the graduates is about $15/ hour, with mean wages in the $50,000 range. Many of the students will now return to school, completely funded by their new full-time employers, for a four year apprenticeship program to further advance them in the trade. Alayna Chavez, the only female in the program, explained that she saw that there was a true career in plumbing. She decided to enroll in the course because she was tired of working minimum wage jobs with no opportunity to move up or enhance her skills. At the end of the class she was known as the class’s “welding queen” for her excellence in soldering. 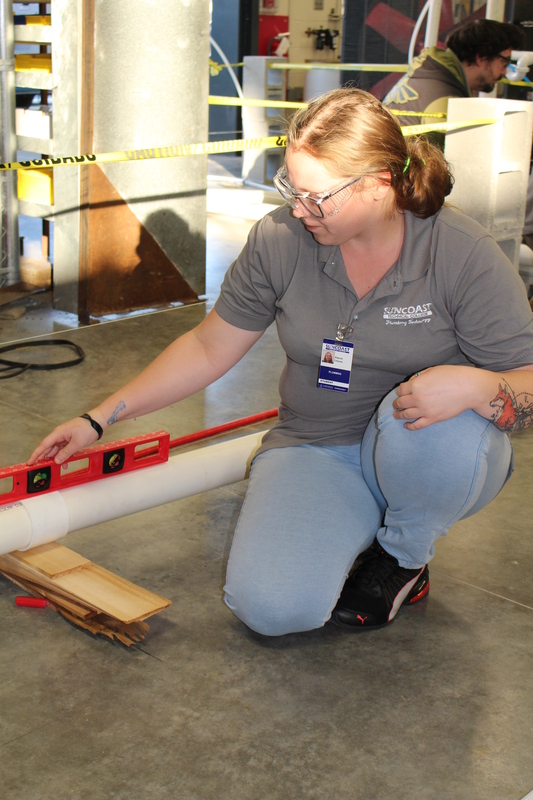 “This industry is always growing and changing and the class and the instructor gave me the confidence to build a career, one that I can continue to grow in,” says Alayna. The students also participated in CareerEdge’s “Bridges to Careers” soft skills training with modules such as communication, professionalism, and teamwork. Many of the graduates explained that plumbing is more than just fixing or installing a bathroom, but you also need to be able to communicate and work with customers. Some of the students had never been introduced to these topics before, and many learned that these skills were just as important as the technical skills. The graduates now embark on a new journey, choosing an employer from the several that are hiring. With excitement of graduation, the students can look forward to a bright and promising future in a respected and every growing field. Suncoast Technical College will offer another Plumbing Technician program beginning August 2017. To enroll in the program or find out more information, please contact the college at 941-924-1365.